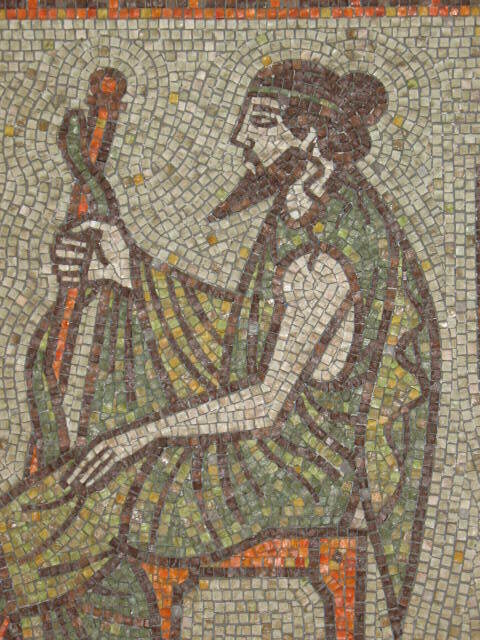 In ancient Greek mythology, Asclepius was known as the God of Medicine. Removed from the womb of his dead mother by his father, Apollo (in what could be called the first Caesarian section), Asclepius was raised and tutored by the wise centaur Chiron who taught him the art of healing. Asclepius excelled in his studies and became a doctor and surgeon of unparalleled skill, not merely healing the sick but eventually mastering the ability to raise the dead! This, however, raised the ire of Zeus, to whom his brother Hades complained as so few individuals were entering the underworld after death. In addition, many of the enemies struck down by Zeus’ thunderbolts returned to life, to his distinct consternation. Zeus therefore struck Asclepius down, fearing his growing power, and set forth the dictum that despite the ingenuity, genius and creativity of humanity in the practice of the medical arts, we would nevertheless be subject to mortality and death. I find this myth to be quite illuminating when it comes to the practice of medicine. Certainly, Hippocrates, known as the Father of Western Medicine, understood this law of nature – and the meaning of this powerful myth. Medicine was about healing the body, mind and soul – not trying to compete with the gods in a vain effort to live forever. The body, the palette of the medical arts, as it were, is truly a product of the soul. The soul is the organizing principle that gives rise to the physical manifestation we call the body. So, to promote good health and well-being, it is necessary to treat the whole person, mind, body and soul. This philosophy forms the foundation of what I call “Feeling Centered Medicine,” which is, in fact, how I refer to my own medical practice. Feeling Centered Medicine (FCM) sees that the traditional Western model of viewing the body like a machine is a poor, outdated approach, for it drains from medicine – and from the very patients we serve – the art and divinity at its core. A key to FCM – and, really, anything you may undertake in life – is to operate from the heart, out of compassion and love. The first thing that I tell any of my team, when they join my practice, is that we don’t work for money. We must have gratitude for this journey we’re on, and we allow our souls to manifest their joy, their gifts, through grateful service to others. It has always been my philosophy that we don’t fix people – we seek to heal the whole person. We treat every person with the dignity deserving of the beautiful souls that we all truly are. We listen and pay careful attention to everything that a patient shares with us, and we treat them with reverence and respect. People’s pain is almost always a manifestation of something greater and deeper in their lives, something affecting not just the body but the mind and soul as well. Feeling Centered Medicine is based upon a foundation of compassion (a word meaning “to suffer together”). In FCM, we seek to elicit from people what they feel, not merely what they think (this has its basis in the field of NLP, Neurolinguistic Programming, created by Richard Bandler and John Grinder). Through a blend of empathy and compassion with the best tools and practices of modern medicine, we are able to explore what a patient’s feelings are presenting to us, and we are able to work to heal the total person, mind, body and soul.